In preparation for its highly anticipated ride-hailing app, General Motors has built one of the largest charging stations in the U.S. in a parking garage near Embarcadero. The location is a popular spot for ride-hailing services and the charging site will consist of 18 charging stations, reports Bloomberg. 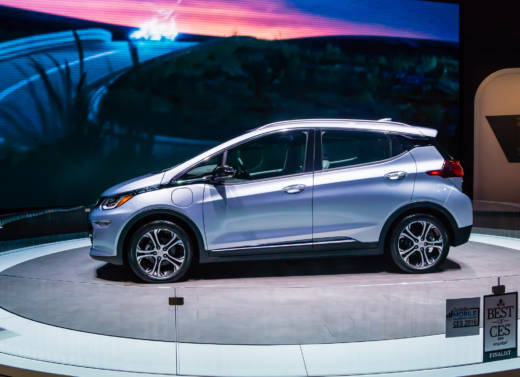 The fleet of self-driving taxis, comprised of heavily modified Chevrolet Bolt electric vehicles, are slated to hit the road in 2019. Self-driving car company Cruise, which is owned by GM, has been quietly testing its driverless fleet among its own employees for the past year, according to the San Francisco Business Times. The company has been expanding on its home turf, having recently leased three buildings in San Francisco, and is currently recruiting heavily for talent. A decision on the exact date of a launch has not been released. "It’s an indication that Cruise is getting ready to commercialize autonomous ride-hailing services for the public and it will be in San Francisco," Grayson Brulte, co-founder of consulting firm Brulte & Co., told Bloomberg. "I imagine they would want to own and operate the service." A GM spokesman said only that the automaker is still working toward commercializing its self-driving car service and that the company hasn’t decided whether to own the business or find partners. He declined to comment on the location. “For us the gating metric that determines when we take the driver out of the car is safety,” Cruise CEO Kyle Vogt told the Business Times in June. Cruise is one of 56 companies with a permit to test autonomous cars on public roads in California. The California Public Utilities Commission voted in late May to create two pilot programs for companies to provide limited rides to the public free of charge. The first pilot program permits companies to provide service with a trained driver in the vehicle. The second pilot program does not require a driver but cars must meet strict requirements set out by the Department of Motor Vehicles, including requirements to remotely monitor the operation of the vehicle. GM's first pilot program for its driverless fleet will start late next year, reports Bloomberg.